Do you need help applying to a newspaper job ad? Here's how to make the best impression when responding to an advertisement in your local newspaper. Applying to advertised job postings from the local newspaper may seem like a thing of the past. However, it doesn't take long to check the paper for job ads, and employers still sometimes advertise jobs in this way, so it is completely reasonable to make checking newspaper job ads a part of your job search routine and strategy. If you don't have a subscription to your local newspaper and your budget doesn't allow for one, you can access the job ads in newspapers for free in a few different ways. Check the newspaper's website; they may post their job ads online as a service to the employers who paid for the job ads. Your local library library should have a subscription your city's newspaper, and perhaps to newspapers for major cities that are nearby. If you have an employment resource center in your area, they might also have subscriptions to several newspapers that cover your city and the surrounding area. When you are applying to advertised job postings, (whether they are newspaper job ads or online job ads) it is important to get your application in as early as possible. 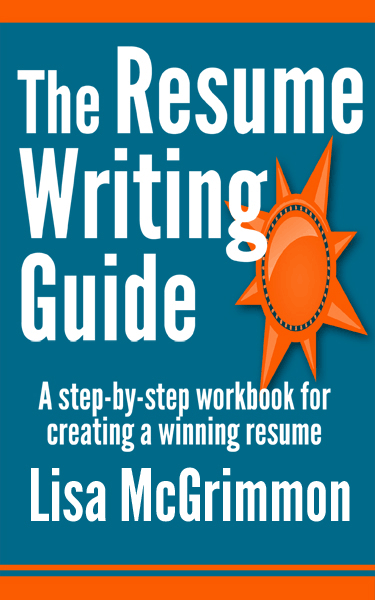 You want the employer to review your resume before before he or she becomes inundated with a huge pile of resumes. Do read the advertisement carefully, and take the time to write a targeted resume and cover letter, (do not sent a general form letter) but do everything in your power to submit your application early - the same day the ad first appears in the paper if possible. A colleague of mine, Chris, (names are changed to protect individuals' privacy) once applied to an advertised job that was a perfect match for her skills and experience, but she was not called for an interview. Later, Chris had an opportunity to speak to the employer and asked very politely why she wasn't interviewed for the job. The employer told Chris that he had been completely inundated by resumes, and after a couple of days, he had enough resumes to fill the position and just stopped looking at resumes. Even though Chris had submitted her resume before the closing date that was stated in the newspaper job ad, the employer didn't see her resume because he stopped looking at new resumes several days before the closing date. It doesn't take long for employers to get overwhelmed by the number of resumes that come in when a job is advertised. It is important to ensure the employer sees your resume before he or she reaches the stage of feeling overwhelmed. One of the few advantages of applying to advertised jobs (as opposed to unadvertised jobs) is that the newspaper job ad will tell you exactly what the employer is looking for in a new employee. Take full advantage of that information by ensuring that your resume and cover letter highlight any skills, experience and/or qualifications that the employer has mentioned in the job ad. Target your resume and cover letter to the exact need the employer has expressed in the ad. If the job ad does not provide the name of the employer, you can sometimes do a little bit of detective work to find out the name of the company, which will allow you to do some specific company research and help you target your resume even better. Often job ads will say, "Submit your resume to...". If the ad just says submit your resume, that means you should submit your resume AND a cover letter. Employers don't always ask specifically for cover letters in job ads, but most employers expect to receive a cover letter with your resume. It is implied that you will send a cover letter along with your resume. If an employer is expecting a resume and a cover letter and you send only a resume, you probably won't be considered for the job. You do not have to have 100% of the skills the employer asks for in order to be a competitive candidate for the job. then you should apply for the job. In your cover letter, do not apologize for or even mention the skill you don't have; you will only draw attention to a negative. Instead, highlight the skills you do have and emphasize the strengths you will bring to the company. A former client, Sue, (names are changed to protect clients' privacy) responded to a newspaper job ad for a position that was almost perfect. She had all of the skills the employer asked for, except the job ad stated excellent Excel skills, and my client had basic Excel skills. Sue applied to the job anyway because she had every other skill mentioned in the ad, and the job sounded like a great fit. Sue was called for an interview in spite of her basic Excel skills. Upon reviewing her resume, the employer saw that Sue was fully bilingual. The job ad did not ask for a bilingual person, but the employer realized that having a bilingual staff member would be extremely helpful when working with some of his clients. As soon as the employer saw that Sue was bilingual (she had a skill that he didn't realize he needed), he didn't care that her Excel skills weren't as strong as he wanted. He hired Sue, and paid for her to take an Excel course to bring those skills up to meet his needs. The job turned out to be a great fit for Sue, and she got it because she was willing to apply to an advertised job posting when she didn't have 100% of the skill requested in the ad. Occasionally you'll find a newspaper job ad that seems just too good to be true. If it seems to good to be true it probably is. If you could really make $40 per hour stuffing envelopes at home, we'd all be doing it. Be particularly careful about job ads that ask you to pay money for something. You should not be paying money up front to get access to a job opportunity. Even temporary agencies and recruiters should not be asking you for money up front. Temporary agencies are paid by the employers they serve, and recruiters are normally paid a percentage of your salary after you land a job. The newspaper job ad will include instructions for submitting your resume. Be sure to follow those instructions carefully. If the job posting says, "no phone calls please", do not call the employer. Ignoring instructions like that can instantly take you out of the running for the job. If the employer provides more than one option for delivering your resume, use the option that gives you the most possibility to meet employer even if it is the less convenient option. While pursuing advertised jobs should not make up the majority of your job search time, it is worthwhile to spend a bit of time applying to newspaper job ads and online job ads. Be sure to check the paper daily, submit your resume as quickly as possible, and target your resume and cover letter to the needs the employer has specifically stated in the job ad.